The end of 2017 saw Feed Innovation Services (FIS) having a joint collaboration with Bioproton in one of the most successful workshops of the year. 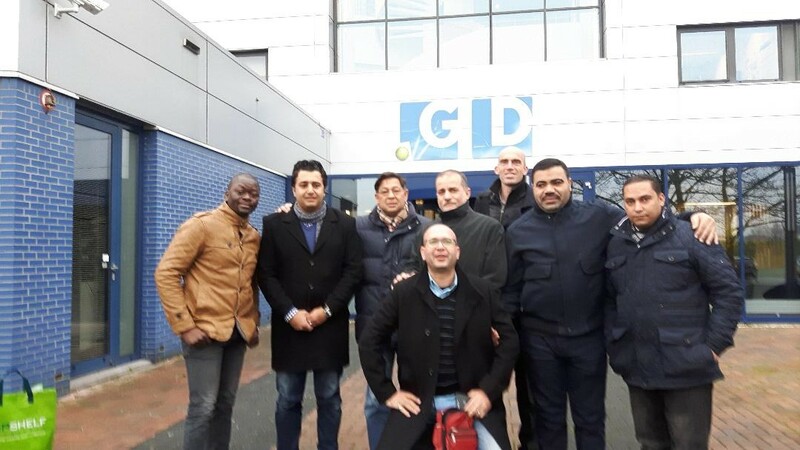 The workshop was attended by visitors from Egypt – feed producers, commercial farmers, abattoir owners and independent animal nutrition advisors. The workshop addressed the latest developments in poultry nutrition and health, and feed processing. Presentations on several poultry nutrition topics were coupled by excursions to feed producers, feed analysis laboratories and animal health institutions. Several nutrition topics were covered including the present protein evaluation system for poultry, conversion of dietary apparent faecal digestibility to ingredient standardized ileal digestibility (SID), and new SID amino acid recommendations for poultry. On poultry health, coccidiosis was the main target focusing on its causes, symptoms, risk factors, prevention measures, diagnosis, and treatment. Following the lectures, a visit to GD Animal Heath was made with the whole group. GD Animal Health is a leading organisation in animal health and animal production. Over 90 years, GD Animal Health has supported industrial customers, governments, veterinarians and farmers by providing animal health programmes and laboratory diagnostic services. Most aspects of feed processing, from quality control of raw materials to quality control of the final product. Questions were answered, concerning processing conditions (pelleting, extrusion etc.) and their effects on the final product. Visits were made to Vitelia Voeders and Feed Design Lab. Vitelia Voeders is a Dutch feed producer, specializing in production of feed for pigs, poultry and ruminants. Feed Design Lab is the research and education centre for innovation and sustainability in the feed industry. Its main activities are the renting of their pilot plant, providing training/courses and developing projects that contribute to the goal of creating a sustainable animal protein chain. They inspire entrepreneurs, researchers and educators to find new solutions through collaboration, open innovation and co-creation, focusing on new raw materials, new technology and health.